The magnitude of the Cycle Tour is staggering: spectators, security forces, media, sponsors, staff and loyal supporters cheering on the 38,000 cyclists taking part in the Cape Town Cycle tour. Welcome to the largest individually timed cycle race in the world. The tour is carnival time in Cape Town. For weeks before you see ever growing pelotons of training cyclists on the roads. This remains a race of champions, professionals, and Tour de France stage winners. 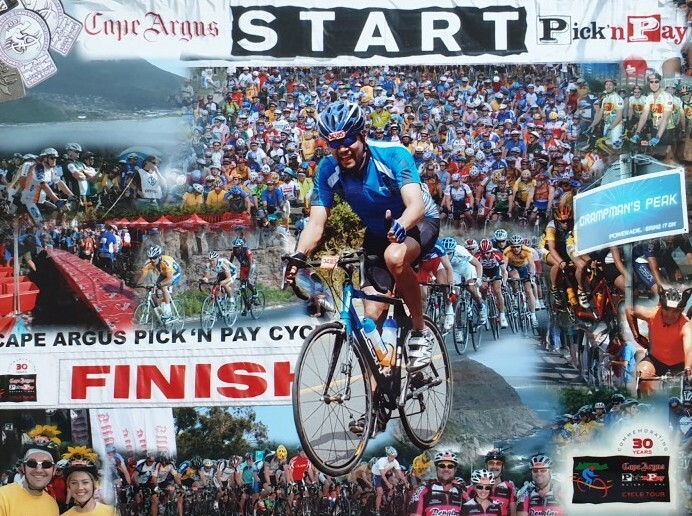 The Cycle Tour stays true to its original calling though by inviting and enthralling riders; from novices to experienced riders; customised mountain or sleek racing bikes; young and old; local and tourists; disabled to podium riders – all either racing for a personal best, or a fun day along one of the most scenic cycling routes in the world. 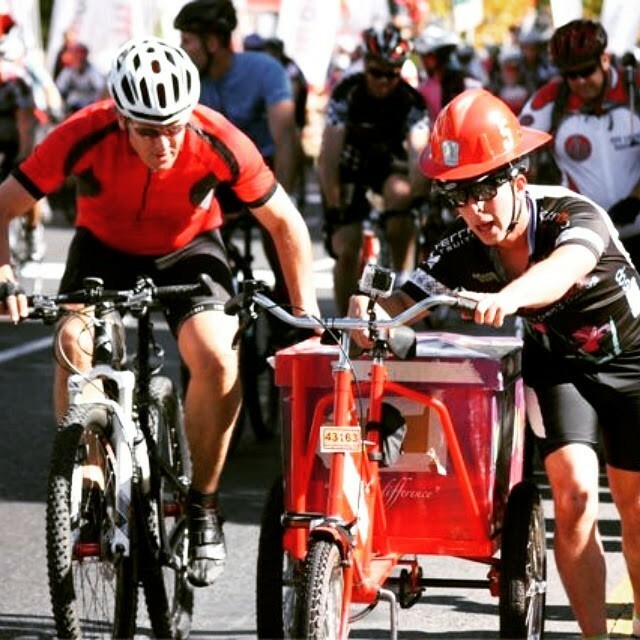 Ice cold drinks, energy restoring bananas and chocolates, massages for cramping legs and the cheers and encouragement from tens of thousands of supporters lining the 109km route are all part of the Cape Town Cycle Race. 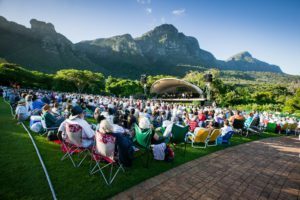 Cape Town turns out for a party, to braai, cheer and celebrate their family and friends and colleagues chugging up Suikerbossie or whizzing down the Blue Route. If you are a cycling enthusiast then you have to put this tour on your bucket list. 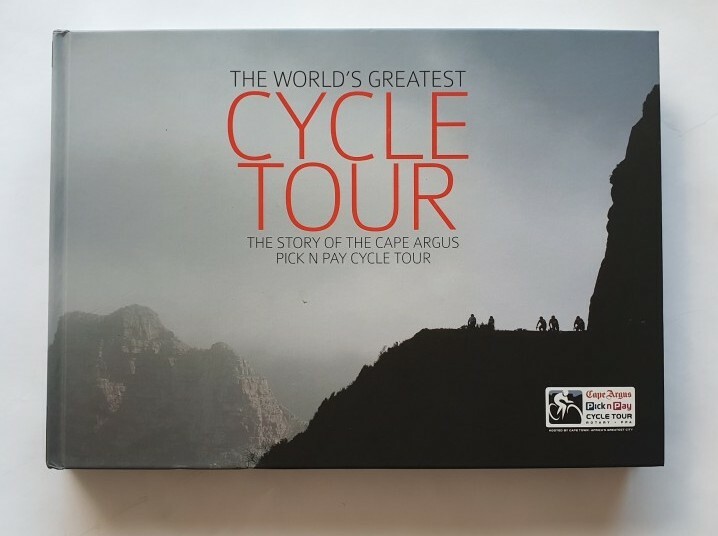 If you do not believe me then listen to what Phil Ligget – MBE, word famous professional cycling commentator, had to say about the Cape Town cycle race in the forward of the book: The Worlds Greatest Cycle Tour. In 1978, when little more than 500 cyclists set off to lap the Cape Peninsula and highlight their fears of riding on the public road of the Western Cape, they could have no idea that their ‘cycle tour’ would develop into The Cycle Tour – and set a trend in the ensuing years for the rest of the world to follow. 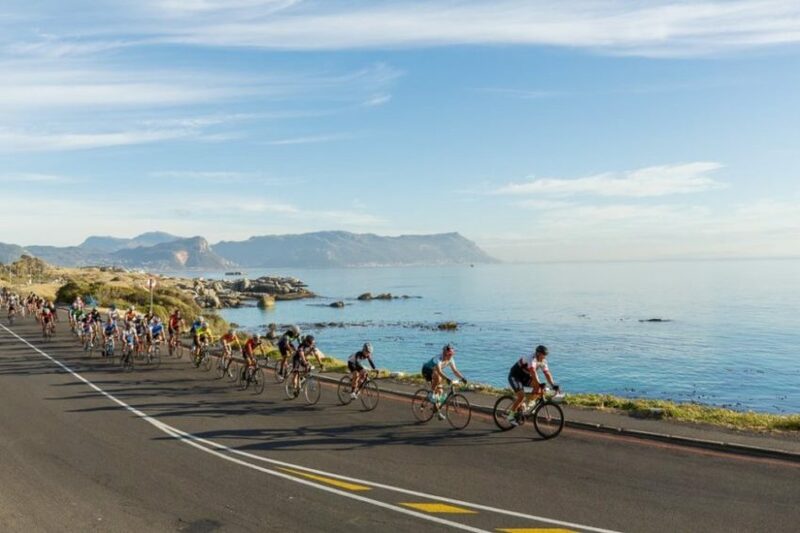 Now 35 years on, the Cape Town Cycle tour remains the leader in its field, as well as forever to the mass participation cycle rides that have since blossomed on all five continents of the world. As a journalist I was unable to come to South Africa during the apartheid years, but as politics changed I was very happy to accept an invitation from M-Net and Lawrence Whittaker, the first winner of the event in 1978 to commemorate on it in 1990. Lawrence and his late wife Julia welcomed me with flowers at the airport and I can remember shaking their hands and then standing in awe at the beauty of the Cape. I had never seen such a landscape, and in just two minutes South Africa had conquered my heart. Lawrence quickly took me out cycling along the route, pointing out Boulders and the home of the African penguin. Then it was on to Smitwinkel, where we dodged the cheeky baboons, past Camel Rock and on the through the British- named towns of Scarborough and Llandudno; and before we knew it, we were sprinting for the finish in the shadow of the twelve apostles. For the week that followed until race day, the Cape was buzzing with hundreds – now its thousands- of cyclists, cramming in their last moments of preparation and each hoping for the perfect day with no wind, so that the three hours would be broken, or at least a new best personal time recorded. Now, with the field capped at 38,000, stories abound not just in South Africa, but around the planet. The worlds greatest ever cyclist – Belgian Eddy Mercxk – even paid me the R50 he owed me after I beat him when he also accepted and invitation to ride. Mind you, it took three years to get the money, and when it came, written on the note was: “Double or quits.” I’ve avoided riding with Eddy ever since. I owe a large part of my life to the Cycle Tour which – more than 20 years ago – led me to the most wonderful place in the world. 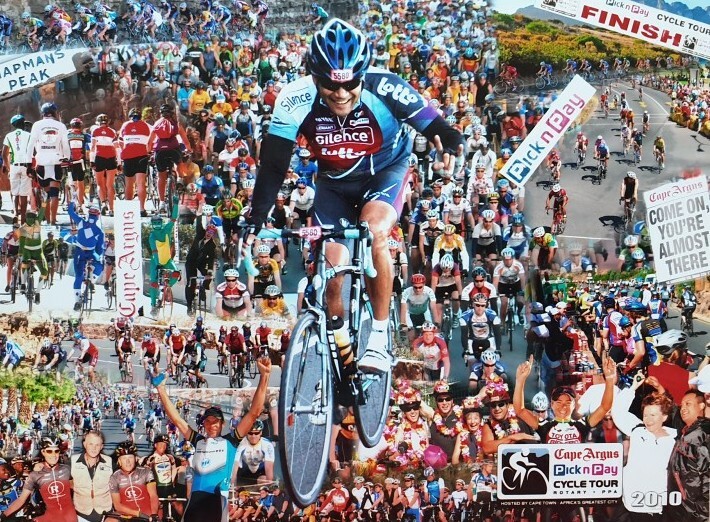 Even though I have reported 39 Tours de France and 13 Olympic Games, my fondest memories are of the Cape Town Cycle Tour – and I know that if I speak to any one of those 38,000 entrants they just might give me the same answer. So there you have it from one of the most recognisable voices in professional cycling. The Cape Town race takes place at the beginning of March every year. If you are flying in with your bicycle you do not have to worry. Cape Town international airport is geared up for the thousands of bicycles that come through the airport in the weeks leading up to the event. Most of the restaurants in Cape Town start gearing up for the event with special carbo loading menus. Make sure you book your accommodation and rental vehicle well ahead of time because Cape Town gets very full over this period. Local flights from other centres in South Africa are also in high demand over this period. If you love cycling you want to experience Cape Town over this period. Oh this is such a great article of Cape Town cycle race! Its really very interesting. Last year when I visited Cape Town I didn’t manage to see the race but managed to get to Table Mountain. Cape town is a beautiful town and would really love to watch the cycle race. When will the next one take place? Hi Rutz glad to hear you have been to Cape Town and had a good trip. The race takes place in March every year so you need to plan around that time if you want to experience this iconic event. 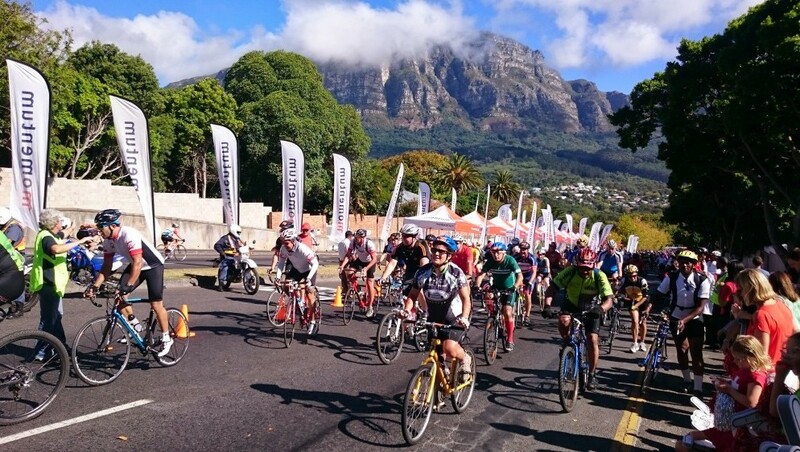 38,000 cyclists taking part in the Cape Town Cycle tour? That’s like an entire football stadium full of cyclists, oh my god, this race is massive! 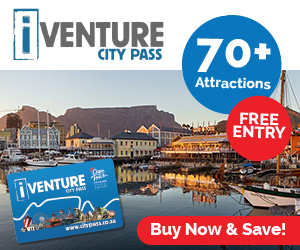 I have a question, have you ever been to the Cape Town Cycle Tour Expo? Is it child-friendly? I have young under 10-year-old children I’m planning on taking over there on a flight and am concerned for their safety throughout the event. lol, “double or quits” that Eddy Mercxk sure is a character. I’ll be flying over to South Africa, do you recommend any carriers or is any aeroplane company okay? Wow! The pictures on this site are incredible. If you love to travel how can you not put Cape Town on your bucket list of places to see before you die. I only bicycle once or twice a week but I would LOVE this event. I’m so grateful for this article! I travel a lot and now I have a new place to see that I hadn’t even thought much about before. Wow! This is interesting Abbas. I love cycle race and a huge fan of it for that matter. From the pictures, the spectators are indeed staggering. It will be a sight to behold at 38000 cyclists taking part in the Cape Town tour. It is indeed a race for champions and professionals as newbies cannot compete favourably except just for fun. Of course with the number of spectators and the number of cyclists, the town will definitely be in partying mood. Thanks for your review on Cape Town Cycle Race. 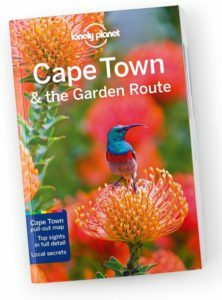 Thanks for the very informative article, I had no idea of the size and scope of you cycle tour in Cape Town! We just hoisted the the Youth Olympics here in Buenos Aires where we served as volunteers help people from over 200 countries, but I think you event has far more participants! If one is not a professional rider it sounds like we would still be permitted to ride at our own level. Do the promoters have different fees set up for all levels of participation? Would be lovely to visit your beautiful city and of course come for a bike ride! Hi Timo thanks for visiting Cape Town locals and your questions. There is a small group of professional riders that start off the race at 6h15. The majority of riders are amateur and social riders. The whole day is a celebration of cycling with a fantastic spirit and vibe along the whole 109km route. You will have such a great experience. Hope you make it to our coast soon.